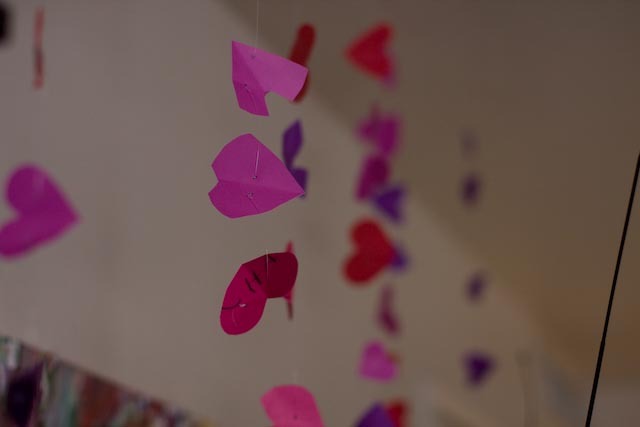 We poked two holes in each heart so we could then thread them onto some fishing line. 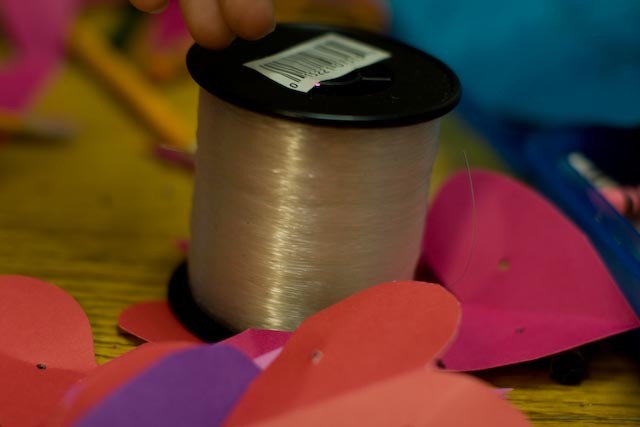 As we threaded the hearts onto the fishing line, we tied a knot between each of them so they wouldn’t all slide to the bottom. 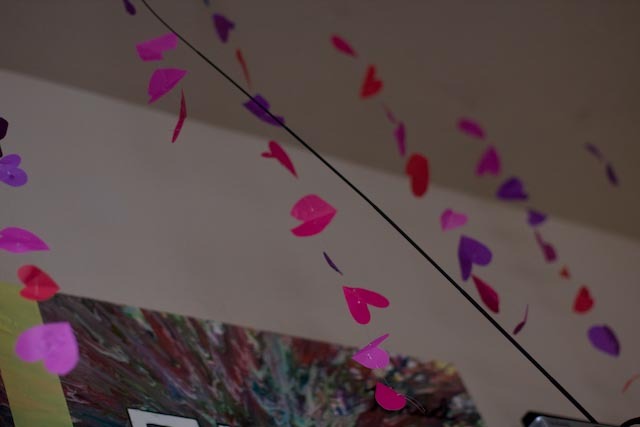 Then we hung them from the ceiling in varying heights. Now we have a LOVE curtain (said in my best Barry White voice) 🙂 Made our little living room festive for the season! 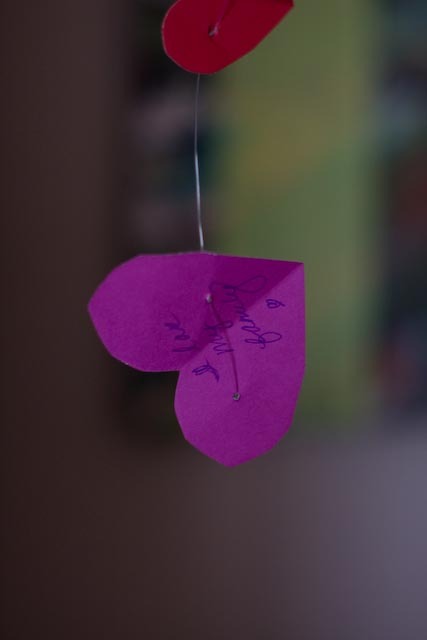 I loved them…they were very festive! 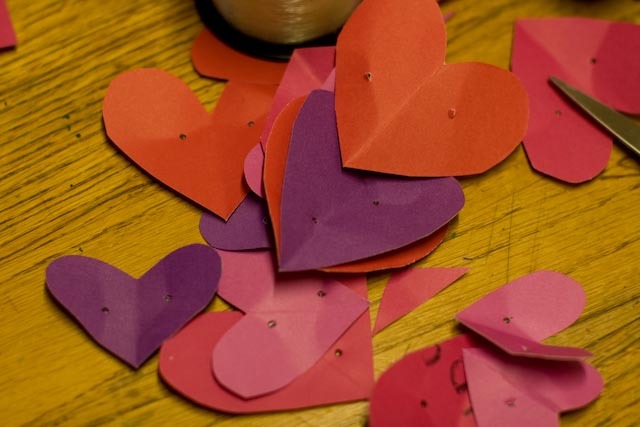 This entry was posted on January 27, 2013 by annambowman in Kid Crafts and tagged crafts for kids, family fun, inexpensive crafting ideas, kid friendly crafts, simple crafts, valentine craft, valentines day project.